Jet2Holidays are the UK's third largest operator of ATOL-protected package holidays & city breaks! 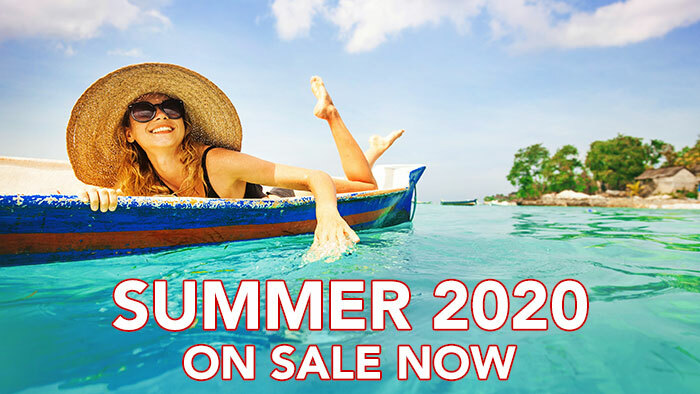 If you are looking for a holiday, look no further, with Jet2Holidays you are spoilt for choice! Fly from 9 UK airports to over 40 destinations including Costa Blanca, Tenerife, Ibiza and Majorca, as well as city breaks in Rome, Prague, Paris and more! Over 1.2 million holiday-makers travel with Jet2Holidays each year, for a reason! Maybe it's the low deposits from only £60pp? Or the 22kg baggage allowance? 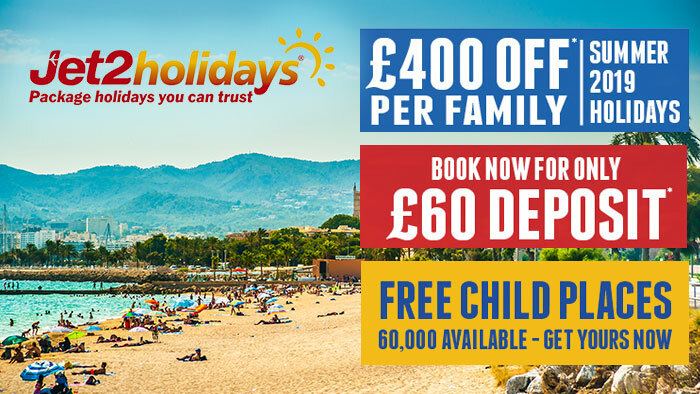 Or maybe just the great offers including free child places & big savings! Book now for just £60pp deposit. We are the only 4th generation family travel agency on the Fylde Coast and in the UK! We employ local people. We are multi award-winning and we want to help you with your travel plans. Because we are a Jet2holidays "Booking Centre" we can price match their web prices. Therefore, you have the best of both worlds - great prices and great customer service from our local team. Yes! Once you have booked your holiday, we will take all the hassle out of your pre- departure information. Simply call in or call us, with your passports in hand and we will complete your API. It's actually true – where else can you book your travel arrangements and receive confirmation with the MD's email address and contact details? Our motto is still – "where customer care comes first!" Fill out the form below giving us as much detail as possible and our team will search for your perfect Jet2Holiday!